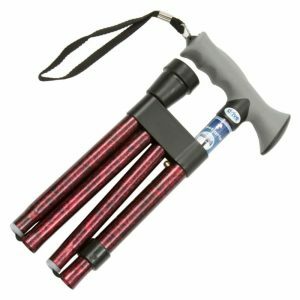 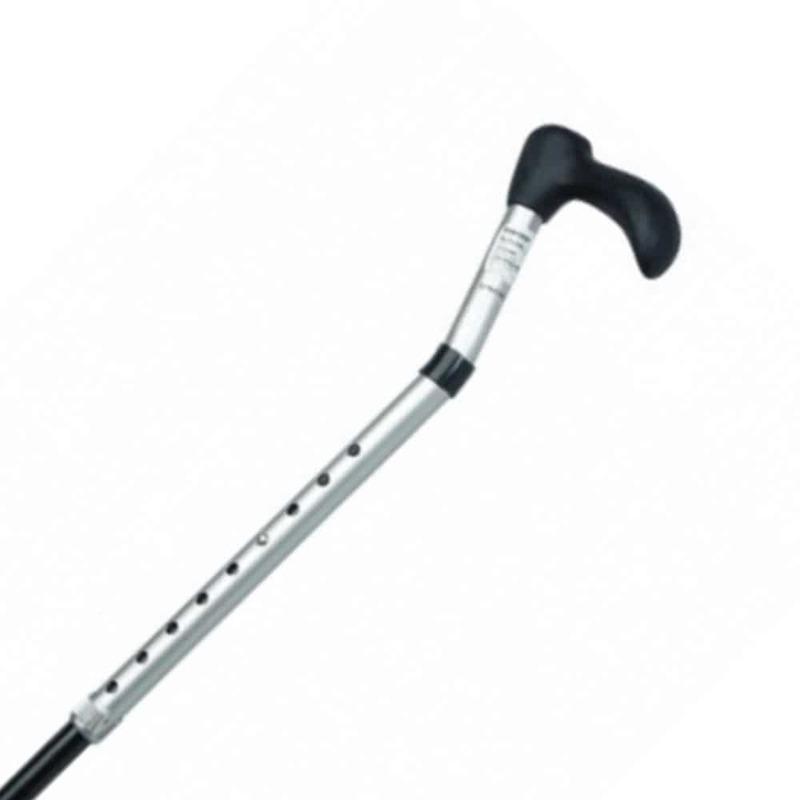 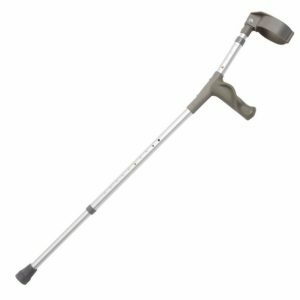 Height adjustable quad cane with curved neck, which places the users weight directly over the shaft for safety. 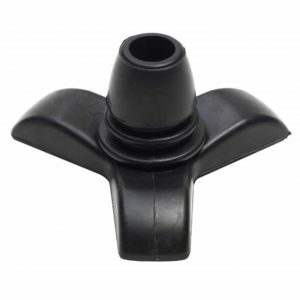 The handle is shaped to fit the centre of the palm and the front tapers for the fingers. 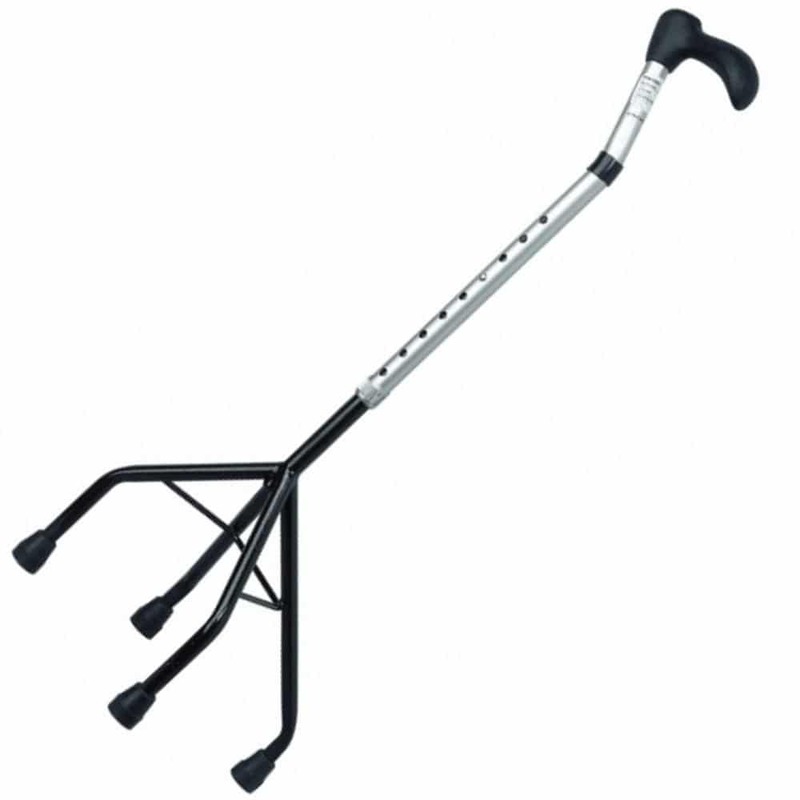 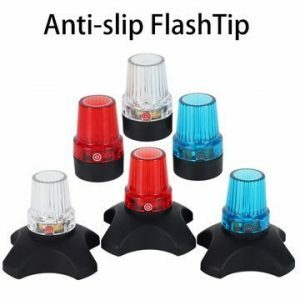 Steel construction with graphite coloured shaft and black powder coating finish at the base for durability.